Viewer app for iPhone and Android. Take projects you have created on your computer and export them for loading onto your iPhone or Android phone using Dropbox, email or iTunes File Sharing. 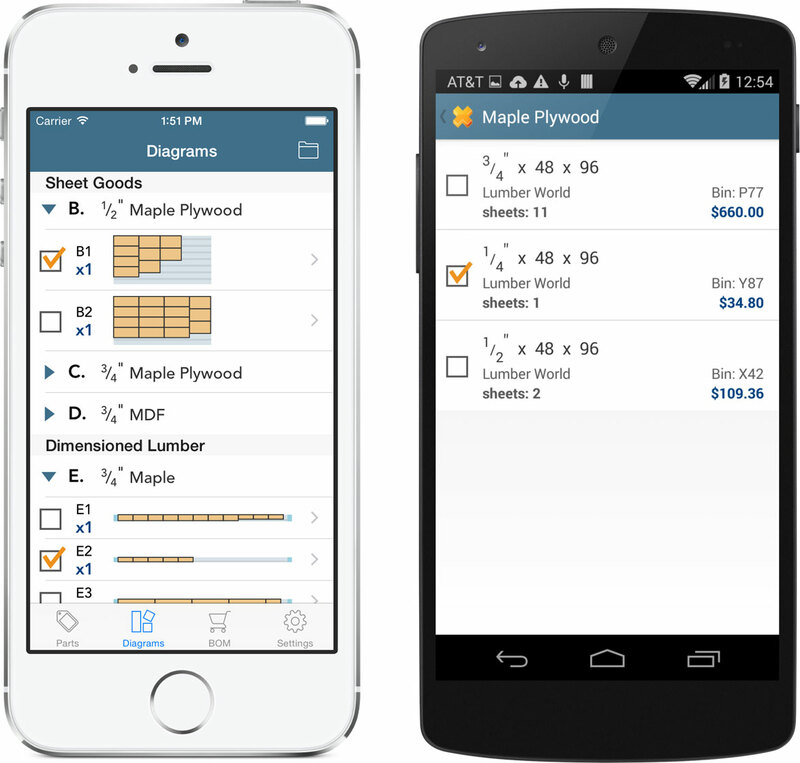 This lets you view your cutting diagrams, parts and bill of materials while in your workshop or at the lumber dealer. The free viewer app does not edit or re-optimize. Start your tour with the Project Chooser screen.